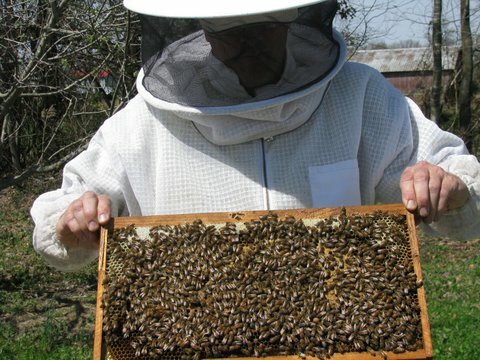 Beekeepers may purchase bees in the form of a nucleus hive – referred to as a ‘nuc’. 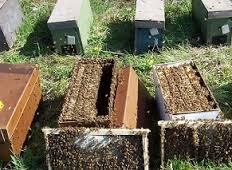 A nuc usually consists of 2 frames of bees, with brood and a queen bee, together with three frames of honey. When the nuc arrives at the bee yard, the beekeeper transfers the frames of brood and stores from the nuc into his or her own hive, and then adds 5 empty frames with foundation to make up the complement of 10 frames in the hive. 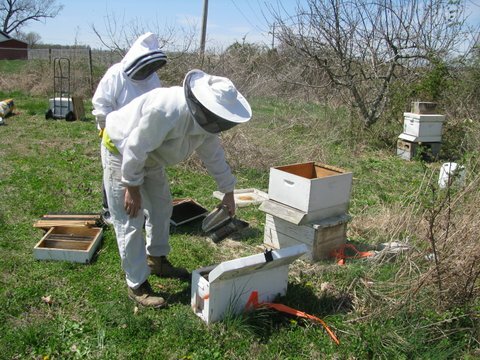 A full frame of bees with their brood is lifted out of the nuc for inspection. The nuc comprises 5 frames of bees and stores. 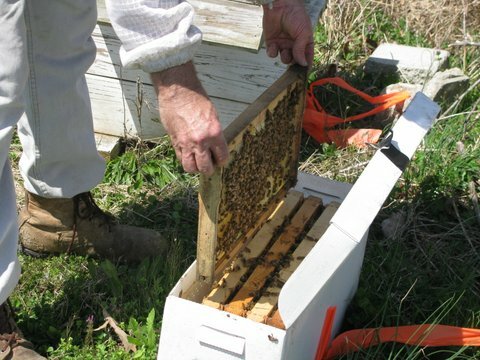 Here, a frame with bees is lifted out of the nuc for inspection. A nuc is placed close to the new hive. 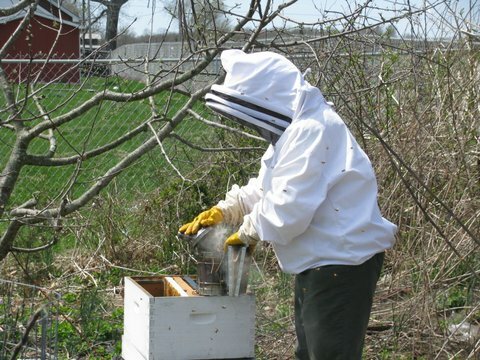 The beekeeper gently smokes the bees in the nuc to calm them, before transferring the frames into the new hive. The first frame of bees has been transferred from the nuc into the new hive body. And the process continues, until all of the frames have been transferred. The bees are smoked again, to keep them calm during the transfer process. Two nucs are open for inspection, with unopened nucs lined up behind.